Fantasy Flight Games understands that your games are an important investment of your free time, and in order to get the most enjoyment out of your games, you want them to have a long life. But sometimes, accidents happen and pieces get lost. You may also have the desire to customize your games, adding a touch of your own personality to your favorite Fantasy Flight titles. 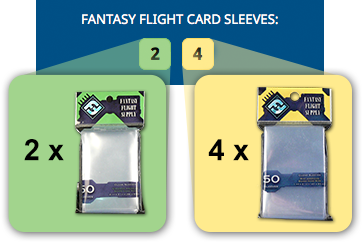 Fantasy Flight Supply is a complete line of game-specific supplies that will help to protect your game components and enhance your gaming experiences.